High quality and affordable childcare places available. MIT's Children's Education Centre is a well-resourced, multicultural community where we practise respect for each child, family and teacher onsite at MIT's Otara campus. Spaces available for children 0-5 years. Meals included and up to 20 hours free per week for 3-5 year olds. We offer a high level of qualified and registered teachers. For more information please contact Bron Ferencz bron.ferencz@manukau.ac.nz or phone 09 968 8765 ext 7715. The centre is available for children of students, lecturers and support staff at MIT, as well as children from the community. We provide meals, including lunch and are open during standard work hours. We encourage our children to be confident and capable learners and have plenty of outdoor space where children can explore, play and discover nature. Learning is based on the national curriculum and complemented with aspects of the Reggio Emilia approach. To support children's transition to school, the centre enjoys a partnership with a local school. Children who are nearly five years old spend a morning each week in the new entrant classroom. For the safety of our babies, there is some security between their room and the toddlers indoor play area. However, the separating wall is low and communication between siblings and teachers is possible. The over-two centre has two large rooms which are open and accessible for all children over two years of age. One of these rooms is used for quieter activities and/or access to computers. Children over the age of two years are not separated during the day except for rest periods. Our centre has an inclusive policy. We work closely with specialised agencies to support children with special learning needs. Our philosophy is based on the belief that each child and family is unique. Respect for the community, environment and for each child, family and teacher is strongly valued and practised. We believe that children learn by following their interest areas and we aim to provide opportunities and learning experiences to promote and enhance their knowledge. Our programme follows Te Whäriki, our national curriculum document. Our aim is to ensure that: all children grow up as confident, competent learners and communicators; healthy in mind, body and spirit; secure in their sense of belonging; and in the knowledge that they make a valuable contribution. Valuing parent partnership for promoting the child's learning and wellbeing. The Centre employs full-time qualified and registered teachers. Support staff include part-time students, a manager, an administrator, a chef and kitchen assistant. Our teachers come from many different backgrounds, including Maori, Chinese, Korean, Indian, and Samoan, so you'll hear these languages spoken at the Centre. This Centre is also used as a practicum venue for Early Childhood Education students from recognised learning institutions. These students ensure that teachers keep abreast of current thinking and teaching practice, and in turn the students benefit from the experience of Centre teaching staff. 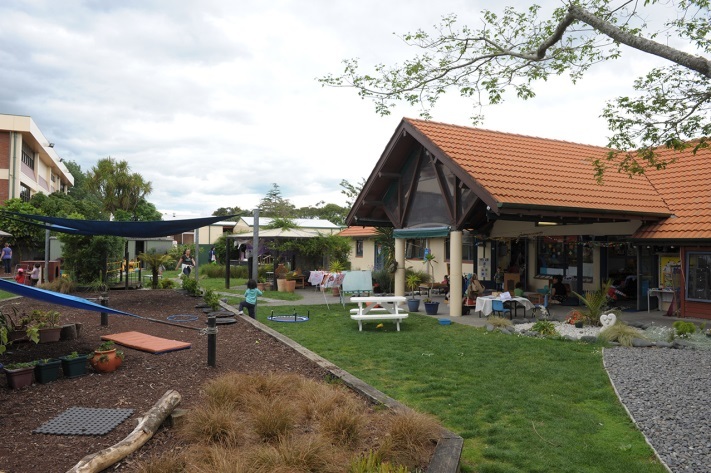 The childcare centre is community based and is part of Manukau Institute of Technology's Student Affairs. The Institute's Council is legally responsible for the Centre. Any review in policy is a collaborative approach between families, teachers and management. Family/whanau opinions are seriously considered. Consultation on any changes to fee structure takes place six months prior to implementation. This provides the opportunity for dialogue and discussion about the rationale for any increase. Monday to Friday from 7.30am–5.00pm.